Tapered roller bearings are used in a wide range of applications that have axial or radial loads. The non-separable inner ring and roller assembly is called the cone, and the outer ring is called the cup. In many applications tapered roller bearings are used in back-to-back pairs so that axial forces can be supported equally in either direction. 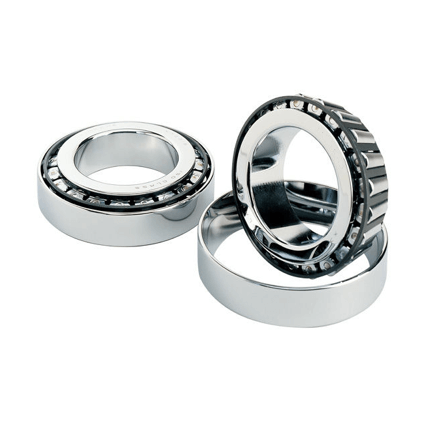 Pairs of tapered roller bearings are used in car and vehicle wheel bearings where they must cope simultaneously with large vertical (radial) and horizontal (axial) forces. Tapered roller bearings are available in single, double and four row units and with semi-crowned inter changeable rings and semi-crowned rollers. They are typically used for moderate speed, heavy duty applications where durability is required.